and a YAESU FT-920 radio but i am not quite sure if the connections are correct. The antenna from the roof is connected to the "A1" connector of the MAGNUM 3000DX Antenna tuner. At the "TX" connector of the MAGNUM 3000DX Antenna tuner, i have connected it to the "ANT" of the BLA350 Amplifier. At the "RTX" connector of the BLA350 Amplifier, i have connected it to the "ANT" of the Yaesu FT-920 radio. 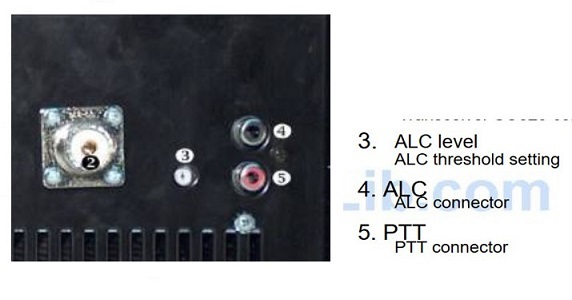 Now on the back of the BLA350 Amplifier there are two RCA connectors named, one "PTT" and the other "ALC". How the shoud be connected on the back of Yaesu FT-920 radio so i can use the amplifier without using the VOX also in mSSB modes? Le tue connessioni sono corrette. Collegare il PTT Yaesu all'amplificatore PTT. Thanks i have to connect the PTT Connector of the PA to the PTT connector of the radio? What about the ALC connection? Download the manual for the FT-920 Here. Download the manual for the amp Here. So i had connected in the wrong way? I have connected the ALC of the PA to the EXT ALC of the Radio and the PTT of the PA to the TX GND of the Radio. Are they OK in this way or i need to change them in other ways? If you have it connected as you described and as in this illustration, you have it connected correctly. ALC is not required for the amp to work, it prevents you from overdriving your amp. Apologise Hal as I said above, I have connected the PTT of the PA to the TX GND of the Radio. 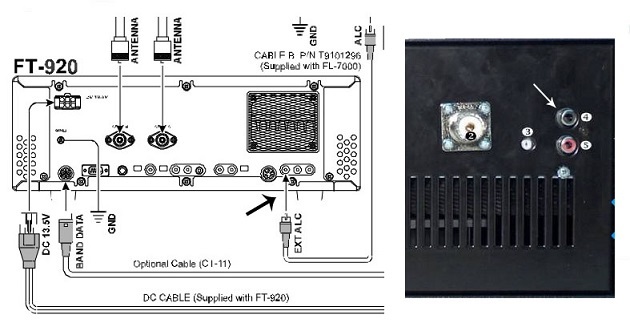 Is it correct or I have to move it to the PTT RCA connector of the radio as I do not see any arrow on the picture were to connect correctly? Microphone to let the PA going on air?